Avalanche season has officially begun in North America today. The first avalanche accident of the 2015/16 North American winter season occurred today in Montana. Two hunters were caught in an avalanche on Sacajawea Peak near Bozeman, Montana at 6:50am today while hiking over a saddle of that mountain. They were carried 300-feet downhill over rocks and cliffs – both survived but one was knocked unconscious briefly. The injured hunter was taken to the emergency room and has since been released. There was no avalanche rating today since reporting hasn’t yet begun. Lets all realize that it’s now avalanche season and the risks are real starting now. Be safe, get educated. 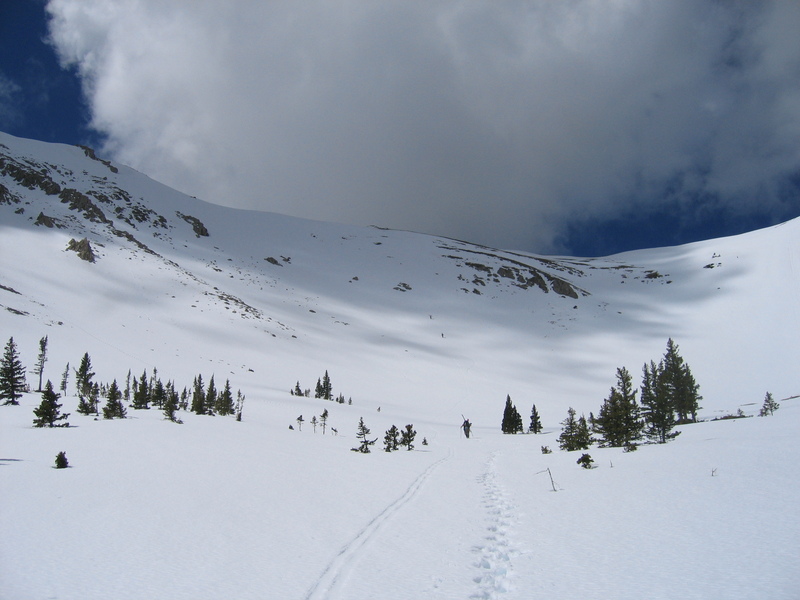 At 6:50 am on Thursday, November 5, 2015, two hunters were walking near the saddle of Sacajawea Peak after approaching from the Fairy Lake Trailhead on the east side of the Bridger Range. 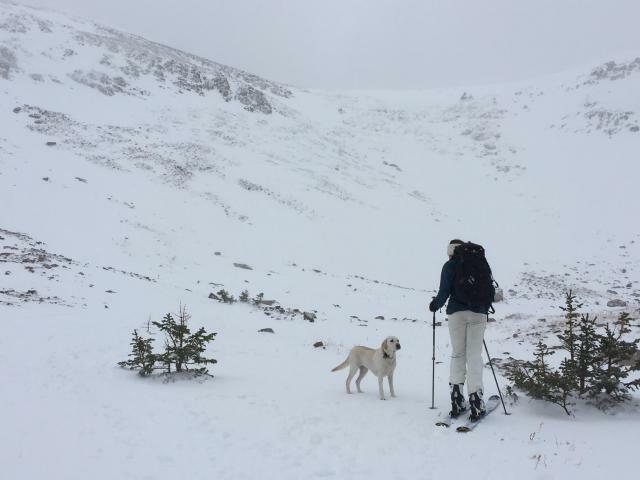 They were on the shoulder of the peak to the north (often referred to as Hardscrabble) at 9,000 feet elevation when they triggered an avalanche that broke 40-50 feet wide and 20 feet above them. They were carried 400 vertical feet (measured by their GPS) over a series of rocks (photo). One hunter was unconscious, but came to. Although injured, they self-evacuated and drove to the emergency room where he was cleared of critical injuries. A storm between Monday and Tuesday (November 2 and 3) deposited 14 inches of snow, totaling 1.2 inches of SWE at the Brackett Creek SNOTEL, approximately three miles to the southeast. Wednesday night, westerly ridgetop winds averaged 30 mph with gusts of 36 mph at the Bridger Bowl Ski Area. Temperatures were in the teens Wednesday night. In the avalanche advisory posted on Wednesday we reported 14 inches of new snow plus strong winds created wind slabs which could be triggered. 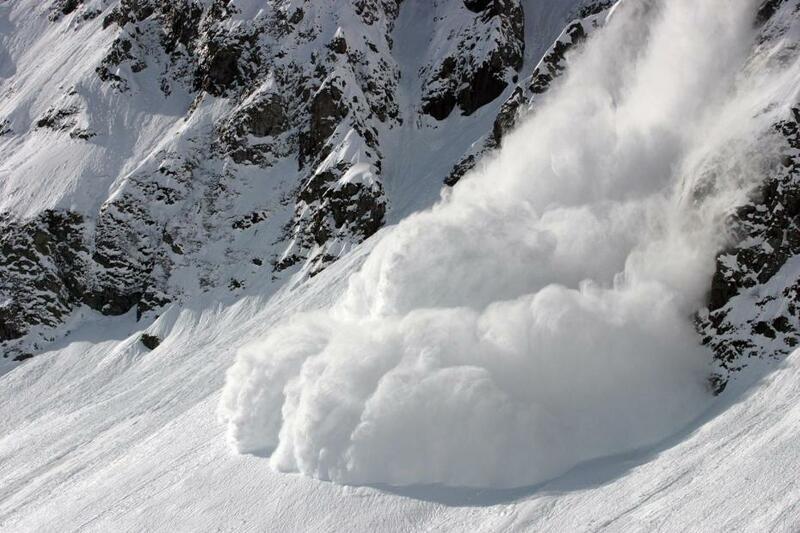 Even small avalanches can have large consequences. Luckily these two hunters did not get buried or sustain life-threatening injuries, although being knocked unconscious certainly illustrates the potential. When the snowpack is shallow there are exposed rocks and other natural hazards. Hunters are typically at a further disadvantage since their focus is on animals and not the snow conditions. They also do not usually carry avalanche rescue gear. Regardless, hunters regularly travel in avalanche terrain and are exposed to the same hazard as skiers. Crossing gullies one at a time does not guarantee a good outcome, but it does allow others to carry out a rescue. Avoiding avalanche terrain is the best way to mitigate the chances of getting caught. 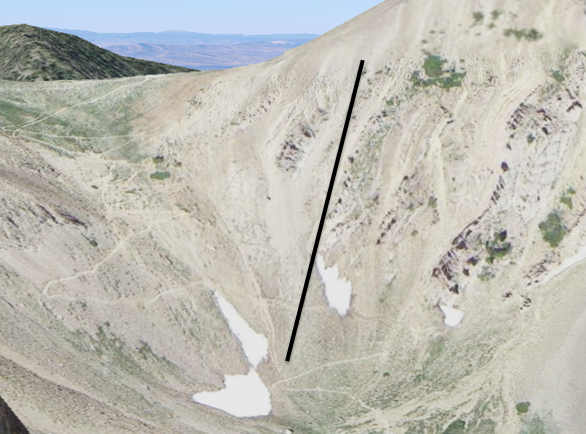 Alex Marienthal of the Gallatin National Forest Avalanche Center obtained information for this report by phone the day of the incident from the individual who was caught and uninjured. Please direct any questions regarding this report to mtavalanche@gmail.com or 406-587-6984.